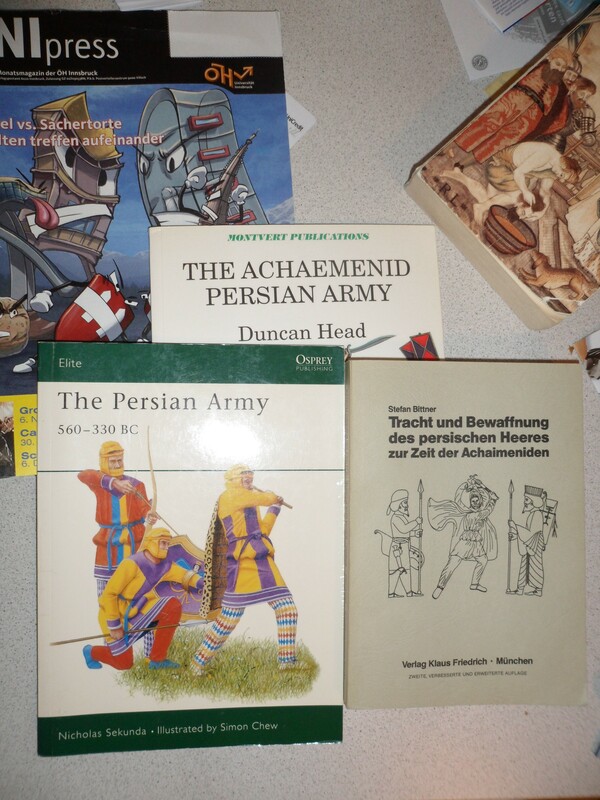 After a recent trip to the bookstore, I believe that I have a copy of every English or German book on the Achaemenid army. This is easier than it sounds, because there are only three of them. One could of course add other books- Bezalel Porten’s on everyday life in a garrison town on the Nile, Stephen Ruzicka’s on the Achaemenid wars with Egypt, some of Christopher Tuplin’s expensive articles- but the total literature by people mainly interested in things Persian and military is rather small. Instead, we have a substantial literature focused on Greek and Macedonian warfare which touches on the Achaemenids when Greeks and Macedonians were fighting them. This scholarship relies heavily on Greek literature and art, both for its evidence and for its choice of questions, and does not always show equal knowledge of Southwest Asian and Central Asian evidence. On the other hand we have works on Southwest Asian literature and art or the Achaemenid empire which often touch on military affairs in passing but not necessarily from the perspective of a specialist in military history. Since the Achaemenid army controlled a significant fraction of Eurasia for two hundred years, it seems that more work is overdue.